ADDER SFP-MM-LC is a Multi-Mode Fibre SFP Transceiver with LC connectors for use with the ADDERLink Infinity Series providing 4.25Gbps data rate up to 500 Metres away. ADDERLink Infinity ALIF 1002 and all ALIF Dual variants provide a choice of link connections. 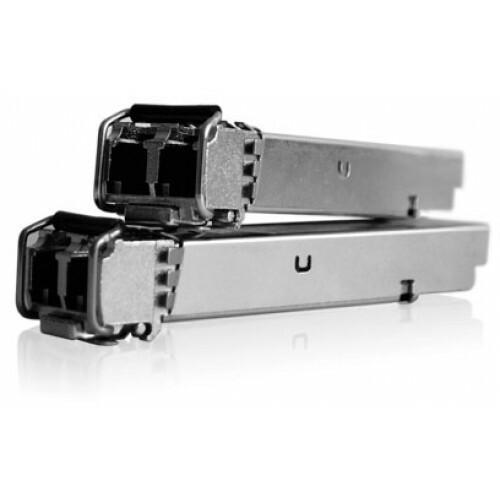 Each supports Copper-Based Gigabit Ethernet (1000Base-T) as well as Fibre Channel over Ethernet (FCoE). ALIF (1002) and ALIF Dual units provide a single system port (CATx) as standard on the right side of the front panel. An additional SFP cage port, located just to the left, allows simple plug-in transceivers suitable for your application; Optional Fibre SFP Modules provide a 4.25Gbps rate selectable with LC type connectors suitable for up to 500 Metres (Multi-Mode) or 10KM (Single-Mode), while the Gigabyte Ethernet CATx SFP Module extends up to, but is not limited to, a 100 Metre cable length. ALIF Dual units additionally allow for the dual network interface ports to be used in parallel ('Teaming Operation') to produce up to 2-Gigabits per second Ethernet connection speeds with the added benefit of link redundancy that can maintain operation in the event of a failed connection. Teaming offers immediate speed improvements in a one-to-one arrangement as well as in multicast installations.